This week we have been reading the story 'Goldilocks and the Three Bears'. We have enjoyed lots of activities. 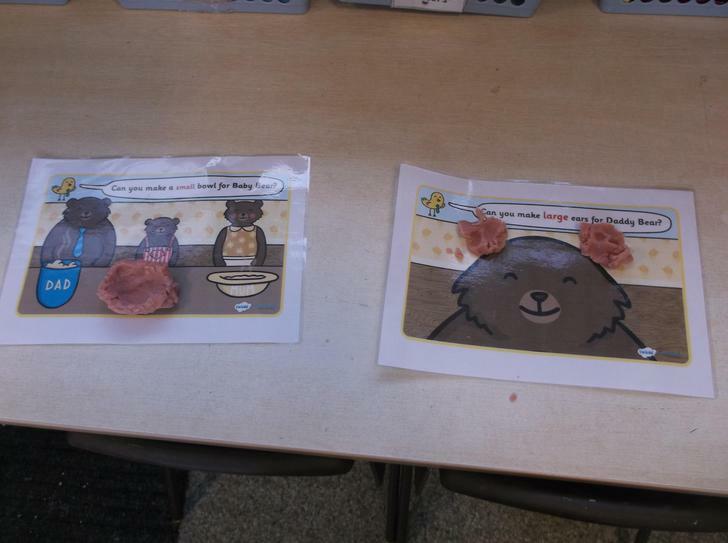 At the start of the week we made different sized bowls for the three bears, using play dough. 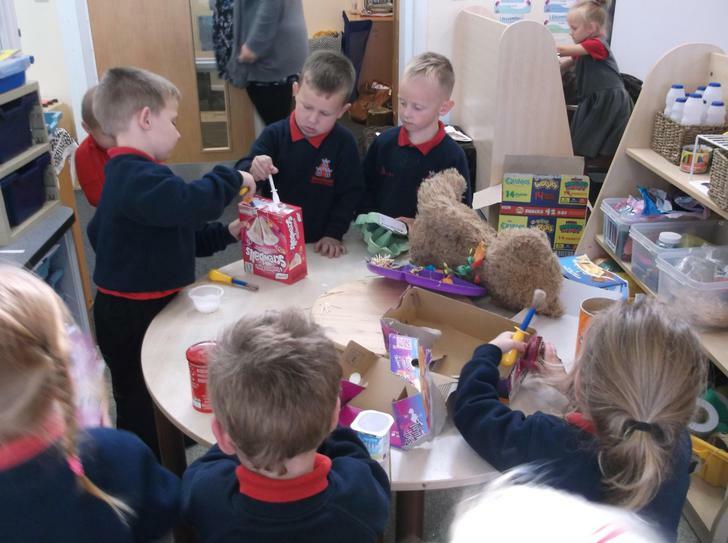 We have been learning all about ordering things by size. 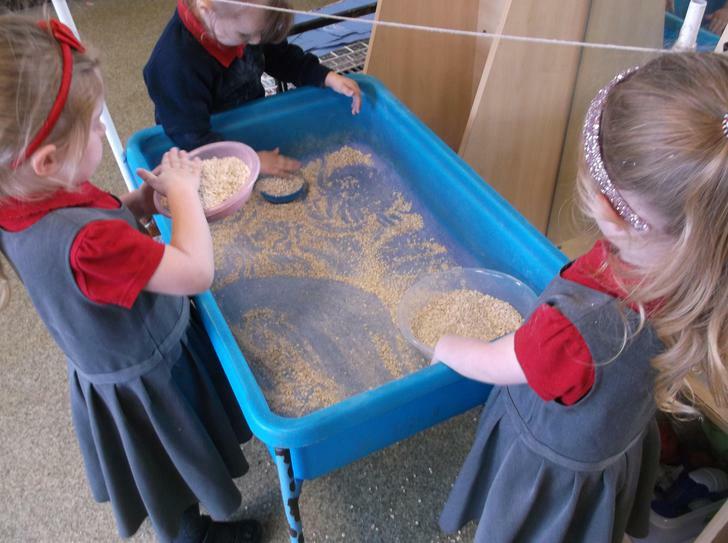 We have had lots of fun exploring dry porridge. On Thursday we decided to add some water to it and it made a big sloppy mess. We loved how it felt in our hands, Karla said, "It's really sticky...Yuk". 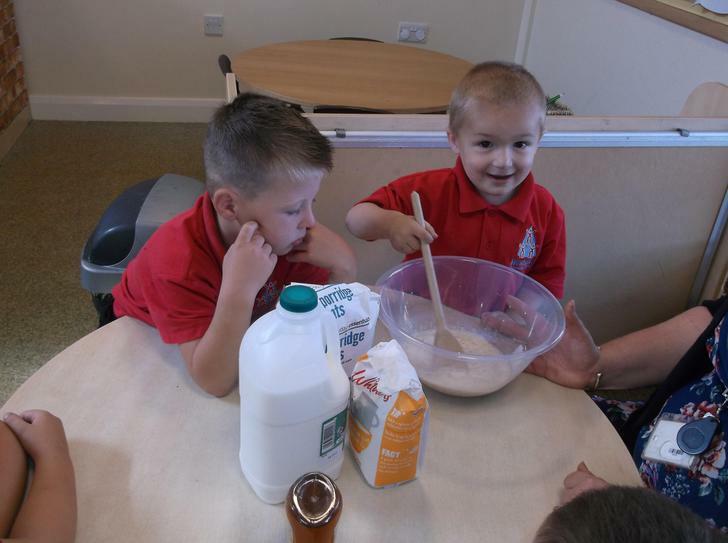 On Thursday we even had porridge for our snack! Charlie said, "It's not too hot, and it's not too cold... mmmmm... it's just right." We put honey in to make it sweeter too! Yum Blake enjoyed it so much, he had three bowls full. 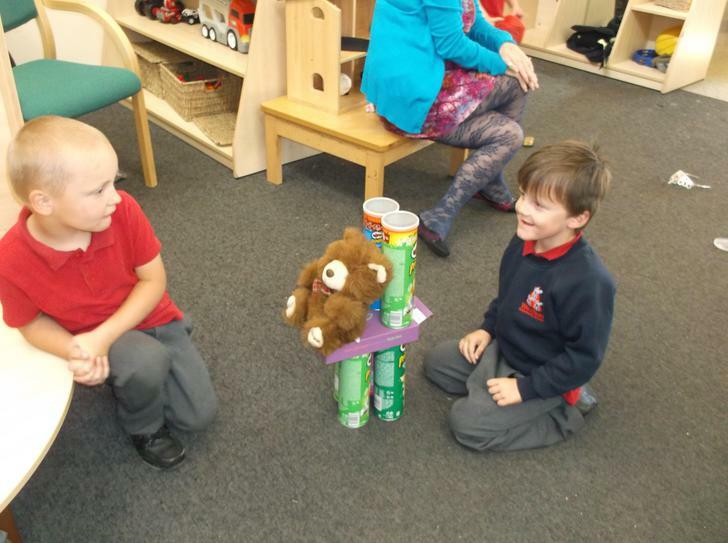 We have also been designing and making a new chair for baby bear as he was so sad that Goldilocks had broken his. We used junk modelling and Lego. Baby bear loved his new chair! Next week we will be learning about our bones and reading 'Funnybones'. Be sure to come back next week and take a look at what we have been learning.